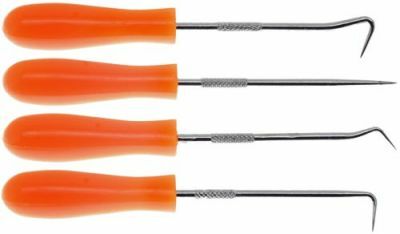 4pc Hook Set with plastic handles. and one bent about 110 degrees. They measure about 5 inches overall in length. Click the button below to add the 4pc Hook Set, Plastic Handles to your wish list.